I started using doTERRA Clary Calm to help me sleep and wanted to review it for you. Many women use ClaryCalm to sooth and calm during their menstrual cycle. I don’t use it for menstrual problems at all! Sleeping through the night is a challenge for me. Maybe it’s stress related, I don’t know. All I know it that essential oils have really helped me to get a good night’s sleep. I usually use Lavender essential oil but sometimes I still can’t sleep. I had some Clary Calm that was still unopened. When I read the ingredients, I saw that some of them helps soothe and balance heightened emotions. That’s me! It’s easy to use since it’s in a roller bottle. I keep my doTERRA ClaryCalm next to my bed. If I wake up in the night I just apply this essential oil blend and usually go back to a sound sleep. I just apply it to my wrists and neck. Visit my doTERRA shop here. To be perfectly honest, I don’t care for the aroma too much at all. But this essential oil’s benefit outweigh the aroma! Although I use it mainly to help me sleep, I wanted to let you know about the benefits of Clary Calm, as stated by doTERRA. Diffuse for a calming aroma that helps soothe heightened emotions – yes! my favorite! Overall, ClaryCalm is the best essential oil blend I’ve used for my stress related lack of sleep. I’ve had so much happening in my life this year, which may be contributing to my stress. I always look for natural ways to be calm and found doing Yoga, running, walking and meditation to be of great benefit too! 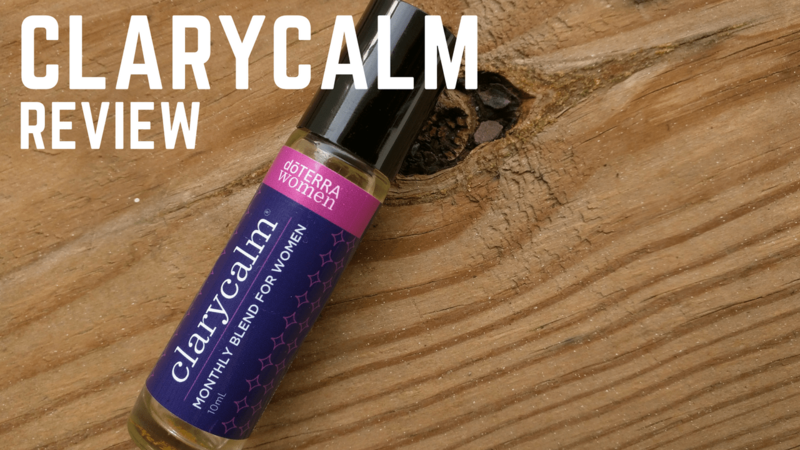 I hope you enjoyed this ClaryCalm essential oil review. If you know of anyone who might benefit from this review, please do share. Click here to learn more about using doTERRA essential oils for emotional health or connect with me to find which oils would be best for you.